The growing use of polymer composites has resulted in increasing demand for nanomaterials, such as carbon nanotubes (CNTs), graphene and nanocellulose, as companies seek alternatives to carbon fiber and petroleum-based composite materials. Over the last few years, nanocomposite applications have gained a commercial footing, due in large part to the efforts of resin manufacturers, compounders and masterbatch producers, who now offer user-friendly products to industries such as aerospace and aviation, automotive, food, pharmaceutical and electronics packaging, electrical and electronic goods, and sporting goods. Although applications vary widely, they principally exploit properties such as gas barrier, reinforcement and flame retardancy. In the automotive and aerospace markets, there is a need to develop multi-functional materials that offer structural enhancement, thermal conductivity and resistance to varied environments. The demand in the aerospace and automotive sectors for lightweight, strong and flexible manufactured parts will drive growth for nanocomposites. Nanocomposites are multicomponent solid materials where at least one of the phases has at least one of its dimensions in the nano range. They consist of an organic polymer and an inert nanoscale filler, the latter added to modify the physical characteristics of the former. Because of this nanostructure, these materials frequently display unique properties. The incorporation of a small fraction of nanoparticles (1-10 wt.%) dispersed into polymer matrix (typically thermosetting epoxy) significantly improves the properties of polymers and allows for novel functionalities. Lighter (10% reduction in mass=6% improvement in fuel efficiency). Can use existing plastics factories to make nanocomposites allowing for versatile and scalable processing/manufacturing. Table 1: Applications in polymer composites, by nanomaterials type and benefits thereof. • Exceptional mechanical and thermal properties. • Low density and high aspect ratios. • Additives in polymers such as epoxies, polycarbonates, polyurethanes, polyethylenes, polyamides, polyamides, polystyrene etc. for sporting goods, automotive, aerospace and marine. • The addition of 5% graphene doubles the mechanical properties of TPO and PP, and a tensile modulus increase of 80 per cent has been observed when compounding 1 per cent (by weight) of graphene with PMMA. • Improvement in mechanical and electrical properties of graphene-based polymer composites are superior in comparison to that of clay or other carbon ﬁller based polymer composites. • Better nanoﬁller than CNT in certain aspects such as thermal and electrical conductivity. • Thermoplastic compounds and masterbatches. • Conductive additives for electronics packaging polymers. • Conductive composites for 3D printing. • Composites for energy storage/energy harvesting. • Eco-friendly. • Strength enhancing additives for renewable and biodegradable composites. • Improved mechanical properties (comparable improvements with conventional filler require 20% loading). • Raised Heat Distortion Temperature (HDT). • Permeability reduction of gases and vapours. • Improved surface properties (e.g. printability, smooth- ness). Main commercial nanocomposites applications are in lightweight gasoline tanks, packaging, plastic containers, more fuel efﬁcient, aircraft and car parts, stronger wind turbines, medical implants and sports equipment. Technology innovation in aerospace is increasingly focused on creating products to reduce costs (e.g. fuel efficiency, maintenance, and repair), and increase safety and comfort. A major trend is creating multifunctional composite materials to carry out tasks generally performed by several elements. The embedding of carbon-based nanomaterials, such as CNTs and more recently graphene nanoplatelets, has been investigated as a possible solution for a large number of challenges related to aerospace structures. Nanomaterials are utilised in the aerospace industry for improved (or tailored) properties that improve their functional performance (e.g. mechanical or electrical properties) or that deliver multi-functional properties (e.g. lightweight conductive nanocomposites). Technology innovation in aerospace is increasingly focused on creating products, which are less expensive to operate (e.g. fuel efficiency, maintenance, and repair), and offering new and improved technologies that passengers prefer. The embedding of carbon-based nanomaterials, such as CNTs and more recently graphene nanoplatelets, has been investigated as a possible solution for many challenges related to aerospace structures. The current trend is creating multifunctional composite materials to carry out tasks generally performed by several elements. There are opportunities for nanomaterials in carbon fiber replacement. However, the epoxy resins, ESD shielding and nanocoatings segments are the most likely to generate significant short-medium term revenues in the aerospace sector. The company has an exclusive license for using Standard Graphene’s materials in FRP sandwich panel, FRP sheet and fabric. The company is developing superhydrophobic anti-icing nanocoatings for application in the aviation and wind power industries. The company’s proprietary product is the CTex™ CNT yarn and CNT mats. Main application markets are in aerospace and aviation markets for nanotube materials to save weight in a variety of complex systems, as well as to provide electrostatic discharge (ESD) and electromagnetic interference (EMI) shielding components. The company has a Memorandum of Understanding with CT Engineering to develop graphene-enhanced composite components for the aerospace industry. By 2020, automotive market is expected to grow to 100 million new vehicles per year. By 2050, it is estimated there will be 2.5 billion vehicles in the world. The ecological impact of this is therefore considerable.5 Therefore reduction in automotive fuel consumption is a key industry trend and automotive lightweighting is an important part of this. The development of new lightweight composite materials is essential. The most effective way to reduce fuel consumption and decrease CO2 emissions is to produce lighter vehicles, and lightweight vehicle production has increased considerably. Achieving these emission cuts necessitates stringent fuel efficiency standards for automobiles which have forced OEMs worldwide to further reduce their vehicles’ weight. However, vehicle safety is usually compromised by lightweighting. Therefore, there is a need to develop new materials to overcome safety issues. Polymer nanocomposites offer attractive physical properties including toughness, strength, stiffness, dimensional stability, increased modulus, heat deflection temperature, enhanced thermal properties, barrier properties, and rust and dent resistance. The use of nanocomposites in automotive production requires less filler material than conventional materials while providing equivalent or improved performance characteristics. The addition of minimal amounts of graphene and CNTs makes semi-finished parts electrically conductive, allowing for more efficient and environmentally friendly coating processes based on counter charged, solvent-free powder coating particles. Commercial resin pre-impregnated fabrics and tapes utilizing CNTs and graphene have been developed to reduce the mass of vehicles without compromising strength or durability, while increasing fuel efficiency. American Process Inc. and Futuris Automotive have formed a partnership with researchers at Georgia Institute of Technology, Clark Atlanta University, Swinburne University of Technology, and the USDA’s Forest Products Laboratory to develop ultra-strong, lightweight automotive structural components reinforced with nanocellulose. The company has developed a vehicle made with graphene in its bodywork. Figure 2: BAC Mono-lightweight panels made with graphene composites. The company is developing nanocellulose resin composites for automotive components. The company has agreed to a $10.4M project with Sustainable Development Technology Canada (SDTC) to support the commercialisation of lighter, more reliable and higher-efficiency components for electric motor systems using graphene-enhanced engineering plastics in place of metals. The company is utilizing CNTs to improve the impact resistance of carbon fiber-reinforced plastic, used in auto parts. Cement is one of the most important building materials, and global production has increased significantly in recent years, especially in developing countries. As the scale of structures created with concrete has increased dramatically, the need for advanced materials has too. Market trends include high strength and strain concrete and cement products using new composite materials with superior properties to existing materials. The emergence of nanotechnology applications in concrete and cement is relatively recent and most developments are still in at an early commercialization stage. Nanomaterials affect cement and concrete in different ways including their processing conditions, released CO2 emissions, service life and functionalities. Addition of nanoparticles is leading to stronger, more durable, self-healing, air purifying, fire resistant, easy to clean and quick compacting concrete. Nanomaterials currently being developed are nano silica (silica fume), nano Alumina (Al2O3), nanostructured metals, carbon nanotubes (CNTs), graphene and carbon nanofibers (CNFs). The global concrete and cement market was valued US$457.2 billion in 2011. Widespread implementation of nanomaterials has yet to occur in the construction industry with one of the biggest problems in their use being dispersion in the matrix material. Producing concrete products incorporating nanotubes. The company’s CNTs find application in cement for ultra-high strength concrete. The company produces foamed, cellular NFC-concrete hybrid materials for strength enhancement of cellular concrete. The company has produced Nycon-G-Nano, a nanofiber incorporated into cement products. The company produces FuturBeton C.1 nanostructured cement/concrete additives. improving food quality and safety during transportation. replacing petroleum-based, glass, metal, wax/plastic coated products. Consumer demand for more environmental friendly products has led to the development of nanocomposites derived from renewable sources with triggered biodegradability, but with the same mechanical properties as commonly used materials. Nanoparticles have proportionally larger surface area and significant aspect ratio than their micro-scale counterparts, which promotes the development of mechanical and barrier properties. Nano-enabled polymers keep food secure during transportation, increase shelf life and protect from pathogens. The current shelf life of beverages sold in PET bottles is commonly 4-6 months. The degradation of flavourings and other components is associated with the influx of O2 or the efflux of N2 and CO2. Therefore, the shelf life of beverages could be extended if the gas barrier properties of the PET is improved. Nanomaterials have been used as additives to increase packaging strength and decrease the permeability of plastics in PET bottles and packaged goods. Their enhanced properties, such as UV protection, barrier to moisture, gases and volatile components, mechanical strength, significantly improve packaging materials. Application areas in food packaging, both flexible and rigid include packaging for processed meats, cheese, confectionery, cereals and boil-in-the-bag foods; extrusion coatings for paperboard fruit juice and dairy products; and beer and carbonated drinks products. Nano-enabled polymers keep food secure during transportation, increase shelf life and protect from pathogens. Nano titanium dioxide and nanosilver are widely used in food packaging applications. Nanopellets of clay in particular are widely used to improve gas barrier properties. Nanoclays are thin sheets of layered silicates in the order of 1 nm thick and 70–150 nm diameter. The incorporation of nanoclays into polymeric matrixes can increase strength, mechanical modulus, and toughness of the polymer while improving barrier and flame-retardant properties. Montmorillonite, kaolinite, and saponite are examples of nanoclays that have been used as fillers in food packaging. They attracted great interest in the food industry due to their cost effectiveness, the availability, simple processability, and significant improvement in performance. Montmorillonite clays are the most widely used in polymers because of their high surface area (700–800 m2/g) and large aspect ratio (50–1000), resulting in their use as effective reinforcement fillers due to high degree of interaction with polymer matrix. Figure 4: Structure of polymer film with the addition of nanocomposites. Nanocellulose-based packaging demonstrates strength and stiffness close to that of polyolefines, and can be seen as a low cost “green” substitute for application in food packaging and conservation. Bio-nanocomposites based on nanocellulose are 100% fully biodegradable and are a prime candidate to replace petroleum-based packaging. Some of the shortcomings of biopolymers, such as weak mechanical and barrier properties can be significantly enhanced by the use of nanocellulose-based materials. Table 2: Nanoclay composite application developers and products in packaging. CNTs and graphene have been incorporated into sporting equipment to enhance durability, flexibility, impact resistance and fatigue strength.8 Epoxy reinforced CNTs take advantage of CNTs mechanical properties while reducing the weight of materials needed for a specified application. These epoxies are used in tennis racquets and other sporting goods to improve strength, toughness, durability, vibration damping and other mechanical properties. The company supplies graphene for the development of mechanically enhanced fishing rods manufactured by Century Composites. Developed a prototype helmet made of wood that incorporates nanocellulose foam. The outer shell of the helmet is made of wood veneer and the strap of durable paper. The inside cushioning is made of Cellufoam™. Figure 5: Nanocellulose bicycle helmet. Spanish sports company Catlike has utilized graphene in reinforced cycling helmets. Figure 5: Graphene cycling helmet. 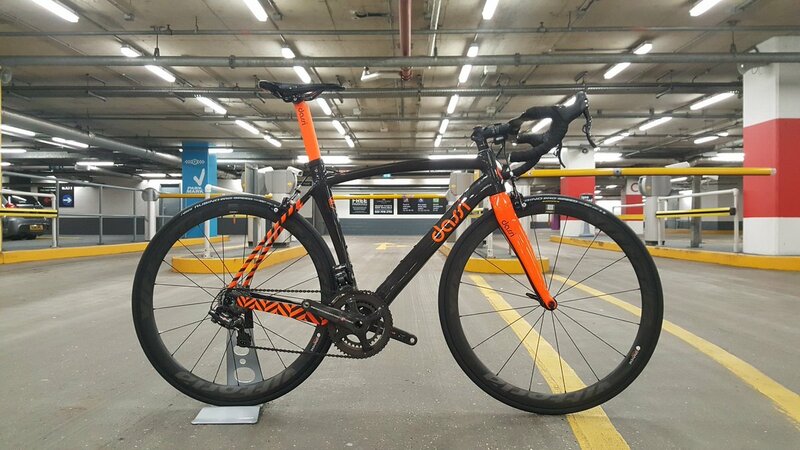 The company is developing bike frames incorporating graphene. Figure 6: DASSI bike incorporating graphene. The company has a Memorandum of Understanding with Bromley Technologies to collaborate on the development of graphene-enhanced sports products. The company’s sporting goods (golf clubs and badminton racquets) incorporate Applied Nanotech, Inc.’s CNTs. Figure 7: Head’s Graphene XT Prestige tennis racquet. The wind energy market has grown exponentially in the past two decades and there is a continuous effort to develop cost-effective materials with higher strength to mass ratios for wind blades. The major design drivers for modern wind turbine blades are the fatigue properties (life-time) and stiffness to weight ratios (tip deflection, tower clearance). Compression strength and stability are also important in order to design against global and local buckling. CNT and graphene nanocomposites for wind blade materials have attracted significant interest due to their favourable mechanical, damping, electrical, thermal and barrier properties. There are significant opportunities for greater growth as composites account for a smaller percentage (51kg) of the vehicle’s weight compared to steel (907kg) and aluminium (272 kg). Currently used composite materials are based on thermoset as well as thermoplastics include sheet molding compounds or bulk molding compounds (SMCs/BMCs), glass fiber mat thermoplastics (GMTs) and long fiber reinforced thermoplastic composites (LFRT), where the fiber component is glass fiber. These materials suffer from a number of drawbacks that opens up opportunities for the use of nanomaterials. The company is seeking to increase blade performance by using an epoxy resin reinforced with carbon nanotubes. The company has a number of R&D projects exploring nanomaterials for wind turbine blades. 1 K. LOH, D. RYU, “MULTIFUNCTIONAL MATERIALS AND NANOTECHNOLOGY FOR ASSESSING AND MONITORING CIVIL INFRASTRUCTURES”, SENSOR TECHNOLOGIES FOR CIVIL INFRASTRUCTURES, 1; 295-326 (2014). 6 A. Arora, G. Padua, Journal of Food Science, 3 (2010) 43-49.